Minecraft the Board Game, Roll for the Galaxy expands, and the Teenage Mutant Ninja Turtles return in this week’s Board Game News Brief. The video game phenomenon comes to your table, in which you try to grab rare resources from your fellow players and avoid getting surprised by monsters like creepers and zombies. Craft your collected resources into new, better gear, and design your personal dream home to secure victory! Given Ravensburger’s back catalog (The Castles of Burgundy, Broom Service, The Quest for El Dorado – all of which have been nominated for Spiel des Jahres and in the case of Broom Service, winning one) it’s more than likely that Minecraft will be closer in the vein to those resource management eurogames rather than hack-and-slash beat em ups. How they’ll represent the underworld is yet to be seen. 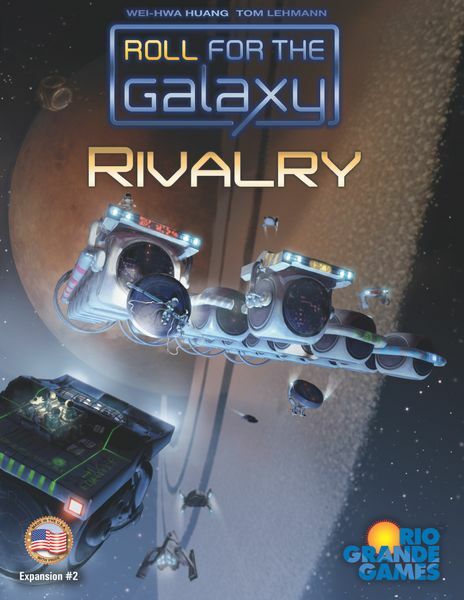 Roll For the Galaxy: Rivalry releases next month. The 2nd expansion for the incredibly successful dice game follows on from the first expansion, Ambition. It comes out at the end of February: bookmark this link to find it once it’s out! Get ready to raise some shell with TMNT Adventures. The heroes in a half shell are back in Kevin Wilson’s dungeon crawler for ninja-wielding reptiles. Now with co-operative mode! Using the same dice-sharing system used by the base game, Shadows of the Past, the new Kickstarter campaign introduces two new campaign boxes, a bunch of new playable characters including series classics Splinter, Casey Jones, and April O’Neil, and (it really does need to be said again) fully co-operative gameplay. You can check out the City Fall campaign here. Mephisto the Card Game is a 1-4 player dungeon crawler with a small box, fast setup, and plenty of demonically powerful combos. Are you ready to bargain for your soul? Coral Islands is actually two games – Coral, and Islands! “In Coral, use dice to make shapes in 3D! In Islands, draft colours, move dice, and try to claim the highest stacks by the end!” reads the KS page. With lovely underwater illustrations by Quadropolis’ Sabrina Miramon, Coral Islands comes from Dice Hospital’s Alley Cat Games, one of our favorite games of 2018. It’s time to ante up! Western Legends: Ante Up! is an expansion to the wild west sandbox adventure game. Adding a train robbery, more poker possibilities, and plenty of new items and locations, you’ll be ready to ride off into the sunset with this box.